Dr Emma believes that the best medicine is good nutritious food. She is an advocate for eating genetically compatible food which provides all the nutrients for our genes to express health and vitality. “If we don’t eat well, we cannot be well”, explains Dr Emma. She is in the process of writing a cookbook to compliment our ‘Eat Well Class’ and hopes to have it published. 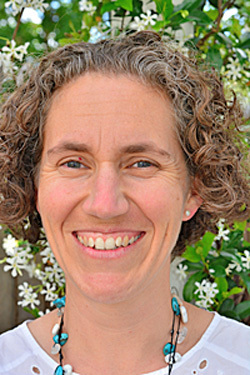 Dr Emma began her chiropractic training at Macquarie University in 1995, where she completed both a Bachelor of Chiropractic Science degree and a Master of Chiropractic degree. She began work in 2002 in a private practice in Brisbane where she worked closely with a naturopath and chiropractor to help people to better health. She also worked in the corporate environment treating workplace injuries in Abattoirs, where she was instrumental in reducing time off work, workplace injuries, and work cover claims. “As a mother of 2 beautiful children, my interest now includes helping women through all stages of pregnancy and postpartum recovery.” This is achieved through the CONNECT philosophy. This is where we Combine Optimum Neurology, Nutrition, Exercise and Chiropractic Together to achieve optimal health. Dr Emma delights in helping new mums to recover post birth. “Women experience massive changes in their bodies after giving birth”, explained Dr Emma. “Chiropractic adjustments after delivery can help your body recover more quickly and assist your spine to function at its best with new physical pressures as you prepare to care for an increasingly heavy baby”. Dr Emma is available for community talks and often speaks at midwife groups to expectant mothers. Dr Emma is available for consultation Monday, Wednesday, and Friday, and looks forward to helping you and your family to better health.